﻿Since repackaged Android's malicious app to send spam SMS has been found recently, user who using Android's phone needs to be careful about its malicious behavior. Upon infected, it can send a bunch of spam SMS' quietly, so that it can make user pay for its sending. These days' symptoms of malicious infected have being changed from collecting information to financial damage. Besides, we can distinguish between normal/malicious applications with these icons after installation. In case of malicious application, the word "BETA" on its icon was misprinted as a "PETA". But, in real one, it inscribed normally. Furthermore, we can find difference between Normal/Malicious applications on "Application info". 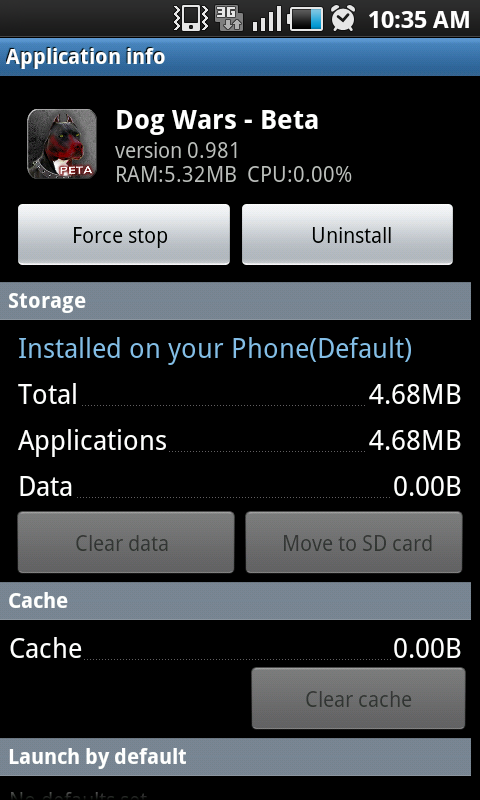 4.68MB is the real one. After the installation, both applications are running as looked same. That's one of big features of repackaged applications. This malicious application is the type of repackaged application. Following figure is the tree of folder structure. If infected, additional malicious package, "dogbite", will work as a service and can cause following symptoms. 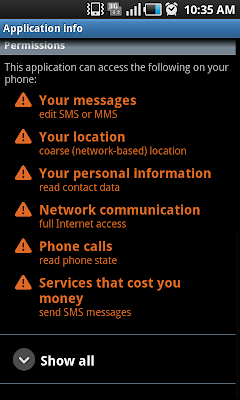 Following code is the detail of "Collect Phone Number" and "Send SMS". There are 2 types of sending SMS. One is sending certain sentence ("I take pleasure in hurting small animals, just thought you should know that") after collecting numbers in contact. 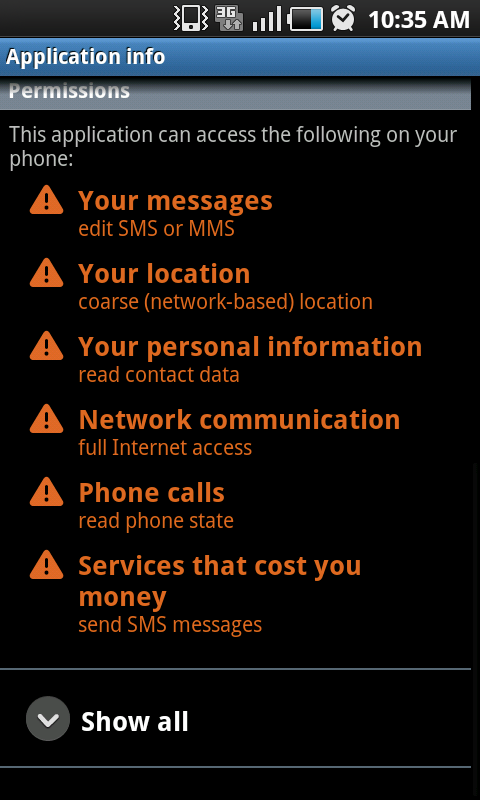 Another is send SMS to certain premium service number in its inside. In case of this malicious application, it can work malicious behavior with just adding additional code to send SMS. The structure looks simple; however, malicious functions are hard to be detected as a normal user. you should checkout best nba 2k17 app.